Many of us don’t need expensive supercars that travel over 200 mph. We don’t need large 4X4 vehicles with over 500-litres of boot capacity and all-wheel drive systems that can cover any terrain. Two seater convertible sports cars aren’t necessary but are wicked fun to drive. These are cars we would love to own and drive, but for the practicality of every day, most of us would happily own an excellent hatchback. 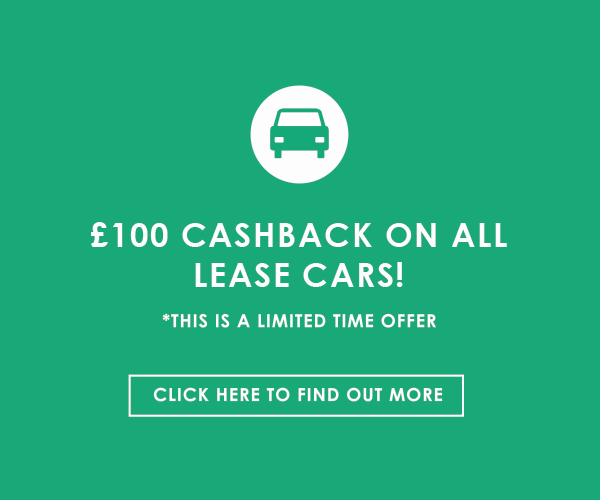 The Vauxhall Astra is an excellent medium sized hatchback that we should all consider getting on the cheapest car leasing agreement and has rivals in the form of the Ford Focus, Volkswagen Golf and the Skoda Octavia. When you choose an Astra, you have a selection of engines that match what you are looking for. If you want a greener, more economical car, there is an engine for that. There is an engine for those who wish to drive fast and there is an engine for those of you on the middle ground who wish to drive without worry of speed or efficiency. The entry level engine for the Astra is the 16V Design engine. It is a 1.4-litre petrol engine that develops 100 bhp. This model delivered good food efficiency with a combined fuel economy of 52.3 mpg. It accelerates from 0-60 mph in 12.6 seconds making it fair decent for motorway driving, although there are better models for that. Not that you can legally use it on the road, the Astra has a top speed of 115 mph. If fuel economy is a priority for you, then the CDTi 16VecoFlex Design engine is the one for you. The 1.6-litre diesel engine develops 110 bhp, has a top speed of 124 mph and an acceleration time from 0-60 mph of 10.2 seconds. It comes with a 48-litre fuel tank and has a combined fuel economy of 85.6 mpg. For you, motorway drivers, this model has an extra urban fuel economy of 91 mpg, whilst the city drivers will be pleased with an urban fuel economy of 74 mpg meaning running costs will be low with this diesel engine. For those of you who enjoy a bit of speed, the 16V 200 Elite engine is the best choice. It is a 1.6-litre petrol engine developing 200 bhp. With that power, you have a top speed of 146 mph at your disposal. It is great for motorway driving as it accelerates from 0-60 mph in 6.6 seconds, meaning you pick up speed quickly. It has a combined fuel economy of 46.3 mpg, making it fast and still affordable to run. Vauxhall have given their Astra a well-built interior with a well-defined centre console and infotainment screen. Everything, for the most part, is made from quality materials, that match the Ford Focus and are a great competitor for Volkswagen Golf. Speaking of the infotainment system, you can choose between seven-inch screen or an eight-inch screen. It is very simple to use and very pleasing to look at. For you and your passengers, you can expect plenty of space up front and both the driver’s and passenger’s seats are adjustable to ensure you get the right driving position for you. In the rear, Vauxhall have increased the space in the back compared with the previous generation of Astra. 6-foot tall adults have plenty of legroom and headroom in the back. Like many other cars in general, a fifth adult in the middle will be a little bit of a squeeze. When you open the boot, you will discover 370-litres of boot capacity, which is 46-litres more than the Ford Focus. If you drop those back seats, the boot capacity rises to 1,210-litres or 1,235-litres depending upon the model you choose. The Vauxhall Astra has a firm but comfortable ride and all the models have the same suspension set up. It takes in the many bumps and potholes on British roads and you barely feel them. Thanks to Vauxhall’s setup, the body control of the Astra is excellent and the steering is balanced and accurate, making it easy to place your car where you want on the road and to push it in the corners. Many reviewers claim that the Astra’s driving ability outclasses is main rival, the Ford Focus. The six-speed manual gearbox is sleek and very easy to use, meaning you can put the power down and get up to your desired speed very easily. When you hit the sixth gear and pull onto the motorway, you will find that this car performs exceptionally well without much struggle. This car is excellent for families and those looking for an affordable car. Chearcarleasing.co can offer you a great deal if you are considering leasing cars like the Vauxhall Astra. If you are interested, give us a call on 02036977526 or fill out an enquiry form and we will get in contact with you within 24 hours.